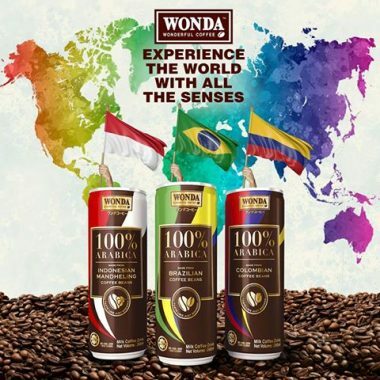 Wonda coffee goes international with 100% Arabica coffee from Colombia, Indonesia (Mandheling) and Brazil. The launch of the regional range marks the extension of the Wonda range to focus on provenance, knowing where the coffee beans come from. 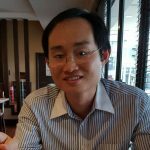 It also taps into the growing sophistication of coffee drinks in Malaysia, which has embraced the third wave coffee trend where consumers pay special attention to the origins of the coffee bean, preparation and roasting. The 240ml RTD coffee in can is available only for a limited time only and is selling for a price of RM 2.70 at Shell Select (image above) and RM 2.55 at 7-Eleven. The promotion at Kedai Mesra Petronas (image below) is 2 cans for RM 3.00 with a chance to win the daily prize of RM 1,000 worth of fuel. You cannot find all three variants in a single store. You have to go to three separate retailers to collect all. 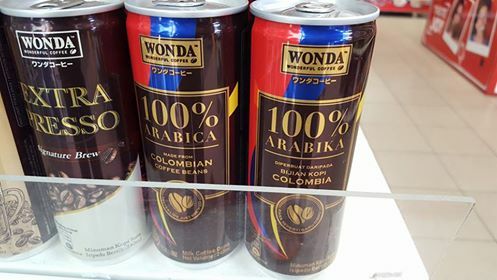 The 100% Brazillian coffee is available at 7-Eleven outlets, the 100% Colombian coffee at Shell Select outlets and the 100% Indonesia Mandheling coffee at Kedai Mesra Petronas. 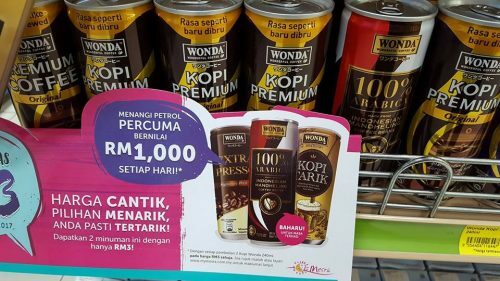 Etika Sdn Bhd has upgraded the Wonda range to capitalise on the growing third wave coffee trend. The strategy to place each variant in different outlets is seen as a move to mutually benefit all retail partners.